Made from Bone China, this pretty star light takes its inspiration from the design of vintage Christmas tree lights. 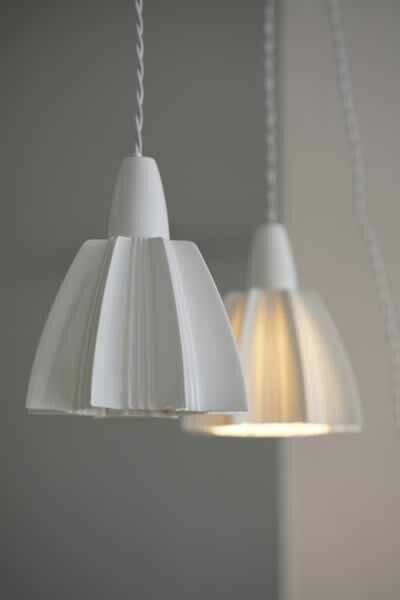 The standard length of pendant is 700mm from ceiling to base of shade but this can be made shorter or longer, up to 1000mm if specified - contact us if you would like to change the flex length. Flex: Comes with China ceiling rose. Requires a fixing plate with hook.